Chain stores are sprouting up on the American landscape as fast as vicious weeds. Their proliferation has made traveling an unsettling experience – a constant deja vu of arriving in places virtually identical to the ones left behind. So it was with my first trip to Colorado. I drove from the Denver airport to Boulder, through an area with the same placeless landmarks found everywhere: Wal-Mart, Blockbuster, Petsmart, Office Max and Starbucks. Boulder proved a welcome relief. Here I found a bookstore with a one-of-a- kind selection, a hotel like no other, and a singular cafe with a dynamite breakfast. But this gem of a city may not retain its character and sense of place for long. Barnes & Noble, Starbucks, and Circuit City are already here. Borders Books is on the way. Rather than succumb to national trends, Boulder residents are taking action. They are lining up behind the Community Vitality Act (CVA), a package of local ordinances that aims to strengthen homegrown businesses. 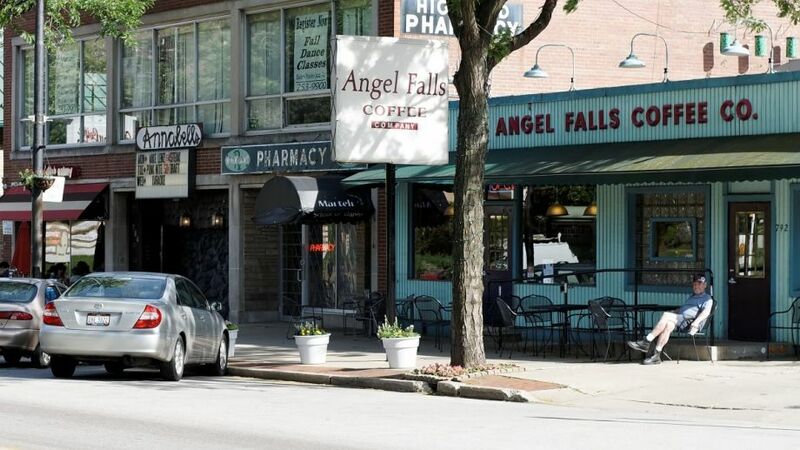 The act would give local businesses preference for city contracts, limit the number of new formula business (those that are not unique, but rather look and operate like businesses elsewhere), and require that new stores in one area of town undergo a special review to ensure that they will not negatively affect the community. Boulder is not the only place taking action. Communities across America – from Santa Cruz, Calif., to Greenfield, Mass., – have enacted or are considering measures similar to the CVA. What’s at stake here is not only the character of our communities, but a competitive retail economy. As consumers, we ought to be alarmed that every sector from books to hardware is now dominated by two or three firms. These firms tend to enter a new market sporting deep discounts and a blitz of advertising. The discounts last about as long as the local competition. In Virginia, for example, a survey of Wal-Mart stores found that prices varied by as much as 25 percent depending on whether the chain still faced local competitors. Retail consolidation also means fewer choices. Each of Blockbuster Video’s 4,000 stores carries 12,000 cassettes. That’s 48 million videos. Among them you’ll find thousands of copies of Notting Hill. But try finding Killer’s Kiss, an early Stanley Kubrick film. Or The Times of Harvey Milk, an important and award-winning documentary. Not all, but some of the nation’s independent video stores carry these two films. In fact, among independent stores, you’ll find selections as varied as the owners themselves. But these stores are rapidly disappearing. Blockbuster now rents one out of three videos nationwide. A similar dynamic is at work in the book business. Although local bookstores tend to be smaller than Barnes & Noble and Borders, collectively they stock and promote far more titles. They take risks on unknown authors and small publishers. Writers like Barbara Kingsolver and Amy Tan contend that, without the help of independent booksellers, their first novels would have slipped quietly in and out of print. Independent booksellers now account for less than 17 percent of the market, down from 58 percent in 1972. Even if chains do save us a few bucks now and again, it comes at a great cost. Local business owners live in the community and invest in its welfare. They chair neighborhood organizations, host community events, and, according to the U.S. Small Business Administration, give more time and money to charitable organizations than do their large competitors. They also contribute far more to the local economy, by keeping profits in the community and patronizing other local businesses, like the neighborhood print shop or community bank. Chain stores centralize these functions at their head offices and keep local spending to a minimum. Reviving the independent business sector will depend not only on the decisions we make as consumers, but on the decisions we make as citizens. The ugly truth about chain store expansion is that it has been driven in large part by public policies that tilt the playing field. Failure to enforce antitrust law has enabled large chains to pressure suppliers for discounts that are not made available to independents – even on orders of the same volume. Chain stores also benefit from sizable public subsidies. Target, for example, received $20 million to build a distribution center in Wisconsin. Long Beach, Calif., waived $6 million in taxes to attract Kmart. Local land use laws, as well, often encourage sprawling big box development that undermines the viability of existing retail districts. It need not be this way. Boulder is one of a growing number of communities that are developing policies that lead to a different future, one where locally owned business are a thriving part of the economy.